Competitive businesses are always looking for ways to cut costs so that they can improve their margins and increase their growth rates. Most managers think about cutting costs in terms of increasing the efficiency of their human resources. It’s common to hear talk of improving productivity, boosting motivation in the workplace, and streamlining workflow. However, there’s another area in which efficiency can be even more valuable: energy. In addition to focusing on human resources, companies should consider how to spend fewer literal resources in pursuit of their goals. Some businesses have already made energy efficiency a priority. However, there are many ways to go about increasing energy efficiency in a given facility, and not all of them are obvious. For example, you might try to cut back on your company’s hydro costs by simply using less water at the office, but other utilities present unique opportunities. You could certainly trim some fat on your electricity costs by purchasing high-efficiency equipment that uses less power to do the same work, but there might be an even better way: why not think about where you’re drawing power from in the first place? Just as numerous homeowners have turned to solar energy to bring down their residential utility bills, businesses can also harness the sun’s power to bring down their operating costs. Commercial solar panels, water heaters and other systems are much more readily available now than they used to be, and new developments in solar technology have made them more effective as well. 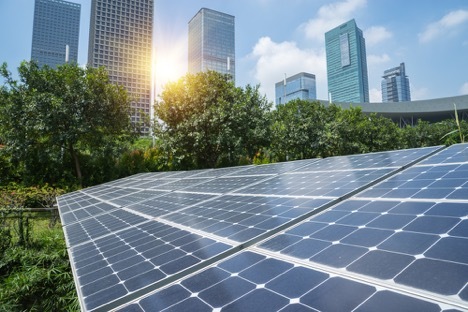 In fact, recent data collected by EnergySage suggests that the average American commercial property owner can cut their energy costs by as much as 75%, just by going solar. What about the Upfront Prices? Some business owners worry about the costs of switching their facilities over to solar power. 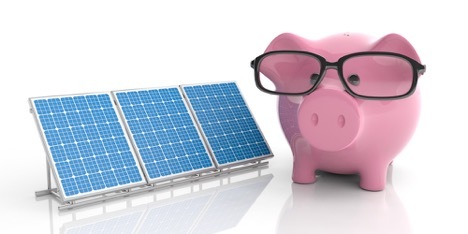 There are legitimate concerns about the up-front prices of some solar energy systems, but it is important to note that the savings usually offset these expenses. Three to seven years is normally all it takes for the savings from solar energy to surpass the costs. After that point, it is estimated that solar powered companies will enjoy free electricity for as long as 35 years. Solar energy can help your business save money in numerous other ways too, even though they might not be as dramatic or immediately noticeable. Remember that solar energy systems are not typically complex apparatuses. In fact, they often have no moving parts whatsoever. Because of this, they require almost no maintenance, except in the case of a freak accident such as gale force winds or a lightning strike. Unless one of those very unlikely events occurs, you can save hundreds of dollars each year on the maintenance costs that would normally be required for your energy infrastructure. Convenient and affordable solar technology represents a landmark achievement in the energy sector, but not just for homeowners. Your business can also reap many rewards from switching to solar energy. Take stock of your options, and think carefully about your long-range financial plans. You just might find that solar power represents a ray of light in your four-year projection.